Established in 1910, The State Bank of Wynnewood began as a bank focused on meeting the needs of the citizens of Wynnewood and surrounding communities. The bank has grown in that role as a service provider to communities inside and outside of Garvin County, Oklahoma. 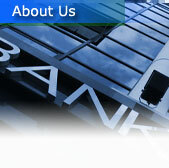 From an initial staff of three to now over fifteen, the bank is reflective of the people it serves. With capital of several million dollars, The State Bank of Wynnewood has evolved into a company capable of presenting even more assistance to its greatest asset - our customer. As an example, offering some of the more competitive loan and deposit rates in the area, the bank focuses on serving the public. We encourage you to contact us at (800) 752-2624 or (405) 665-2001 with your questions, and we thank you for the opportunity to work with and for you. The buttons to the left will assist you in learning more about us and how we can help you.